I grew up in a small town in Oregon. The one thing I remember being all over town was a coffee shop. Cafes, drive thru, all kinds of coffee. It was a quiet town. It was a great place to grow up. For the last 7 years, my wife and I have lived in Portland. We love the bustle of the big city. With myriad opportunities to learn about other cultures, eat great food, see great things. Being able to follow our dreams, my wife as a nurse, me though Intent Coffee Roasting, and both of us as parents to our two amazing kids. Our goal is to invest more into the coffee company, taking our kids on trips to meet the producers of coffee that we are buying from as well as building relationships. We hope to show our kids that we are connected in many to people all over the world. Intent Coffee Roasting started in 2012 in Portland, OR. We believe that coffee can change lives. From a cup of freshly roasted beans brewed perfectly, to farmers investing in their crops and workers, coffee can and should do more. We invest 30% of our profits towards community development projects in coffee-growing regions. Currently, we are purchasing water filters that will last a lifetime for families in Nicaragua. 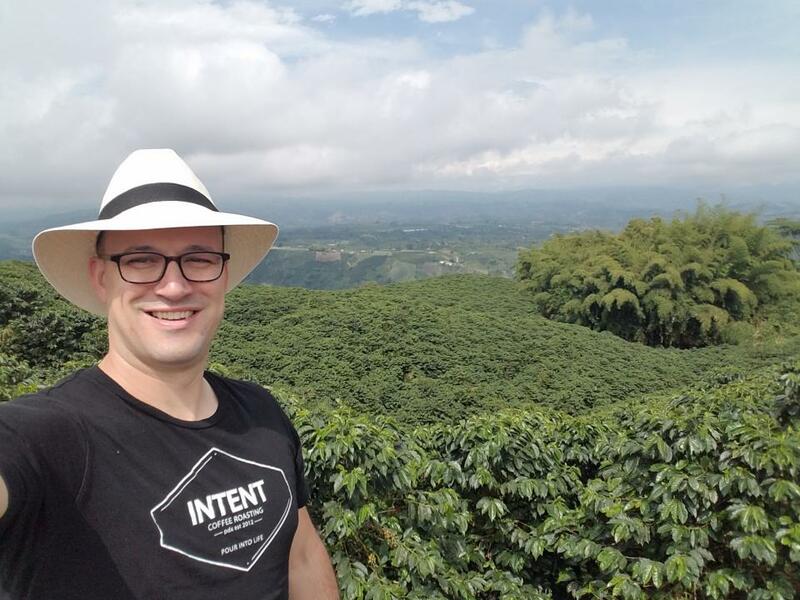 Our goal is to continue to pursue relationships with producers of high-quality coffee and share their stories while simultaneously brewing their coffee for a quality cup of coffee. Working in Portland can be tough, because there are a lot of good coffee roasters. I find it inspiring, yet challenging. Being a small business in this town means that cafes and other businesses are more comfortable with a bigger names, though our coffees are similar in quality. Our goal is to continue to grow our relationships in Portland, as well as in coffee-growing regions producing great coffees. Opening a cafe would be amazing, and would be a great opportunity to showcase the amazing producers we are working with. I am most proud of the fact that, from day one, we have been able to send 30% of all our profits to purchase water filters for families in coffee-growing regions. Because we have had this vision, we have given over 200 families renewed health and hope for a lifetime. I will use this loan to hire an employee to focus on sales and exposure to have cafes, businesses and churches using our coffee. It will allow me to focus on roasting and research and development to increase our offerings and impact in coffee-growing regions. I think this loan will give the boost Intent Coffee needs to push us to the next level in a finacially healthy and successful way. This loan will continue to allow my wife and I to share days at home with our kids as they are both pre-school aged. It will give us the need push to grow in a way that is healthy and less stressful.